The PKI 9805 is in service with many governments all over the world and is designed and assembled as an exclusive and extremely cost-effective and easy-to-use system for detection of all types of military and other explosives. Due to its minimized false alarm rate and low price ratio it is delivered to security forces in far greater numbers than conventional explosive detectors, which tend to be expensive and usually require a technically trained operator. Each PKI 9805 comes with a clearly comprehensible set of instruction manuals so that an operator without any technical background – can immediately use the test kit in an operational environment. The complete kit is fitted in a sturdy plastic carrying and storage case with every necessary tool for an immediate and on the spot testing. The complete set of the PKI 9805 is containing the test devices for SEMTEX, C4, TNT, RDX, PETN in less than three minutes, providing a fast and extremely accurate result. 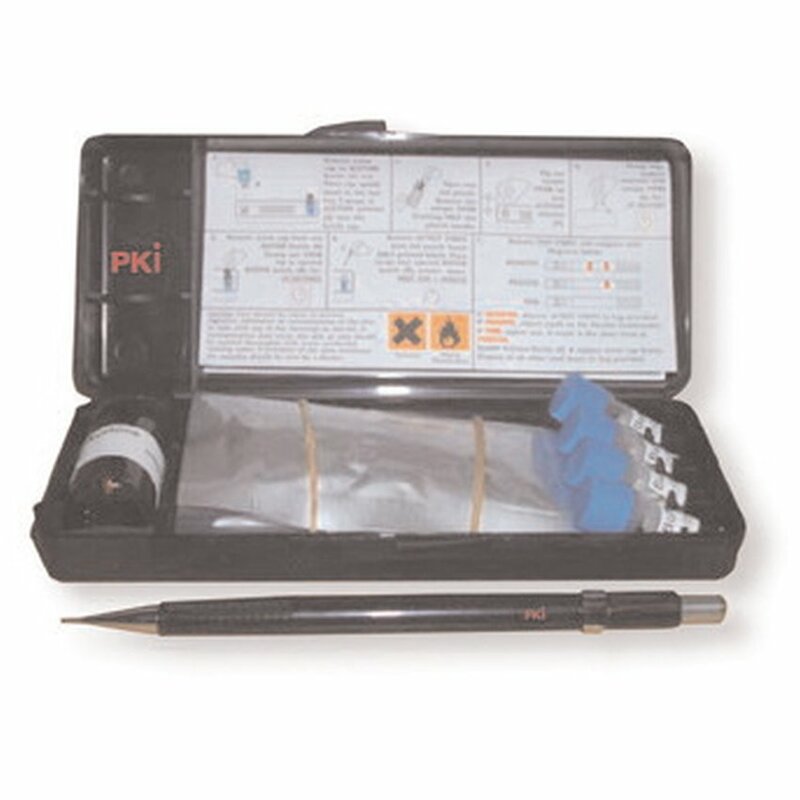 For home-made explosives a separate kit – the PKI 9805/A – is also available. Please ask us for full information about this set.